COPD has vaulted to the third-leading cause of death in the United States and continues to tax healthcare systems nationwide. 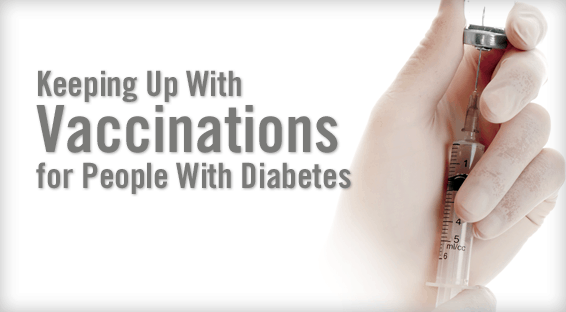 The disease is complicated by frequent and recurrent acute exacerbations, which result in high morbidity and substantial healthcare expenditures. Exacerbations of COPD result in more than 100,000 deaths and over 500,000 hospitalizations each year (Figure 1). There is also a large economic burden associated with the medical care that is required for these patients. Exacerbations are the largest direct cost for the treatment of COPD. A major component to the overall cost is hospitalizations, which represent more than half of the total costs relating to the disease. 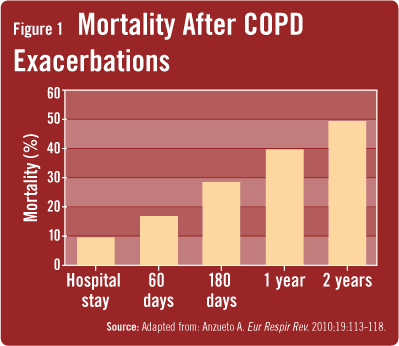 In addition to the financial burden of treating these patients, other costs, such as days missed from work and severe limitations in quality of life, are important features of COPD. Physicians who are managing patients with COPD should develop action plans for patients and their caregivers so that they can deal with exacerbations when they occur, according to Dr. Panettieri. “When an effective action plan is in place, patients are empowered to address exacerbations safely and effectively,” he says. “COPD action plans should be written down, and patients should be educated on the specific symptoms that signal the need to seek treatment from their doctor or care at an emergency room.” COPD exacerbation symptoms may include yellow, green, or brown phlegm, increased production of phlegm, chest pain, fever, ankle swelling, insomnia, headaches, dizziness, and increased shortness of breath. Acute exacerbations of COPD should not be viewed as part of the natural course of the disease, according to Dr. Panettieri. “There are several preventive therapies of proven efficacy, but it’s important to review available evidence from the literature to identify high-risk patients and provide treatments accordingly.” Recent studies have shown that chronic maintenance therapy for COPD can significantly decrease the frequency of exacerbations. Long-acting bronchodilators, including long-acting â-agonists (LABAs), longacting anticholinergics, and roflumilast, can reduce COPD exacerbations. These effects have also been reported with combination therapy involving inhaled corticosteroids and LABAs. 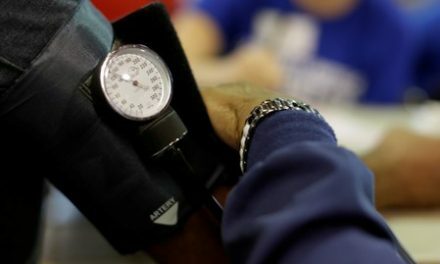 Studies have also demonstrated that reducing the frequency of exacerbations significantly decreases hospitalizations and healthcare utilization. 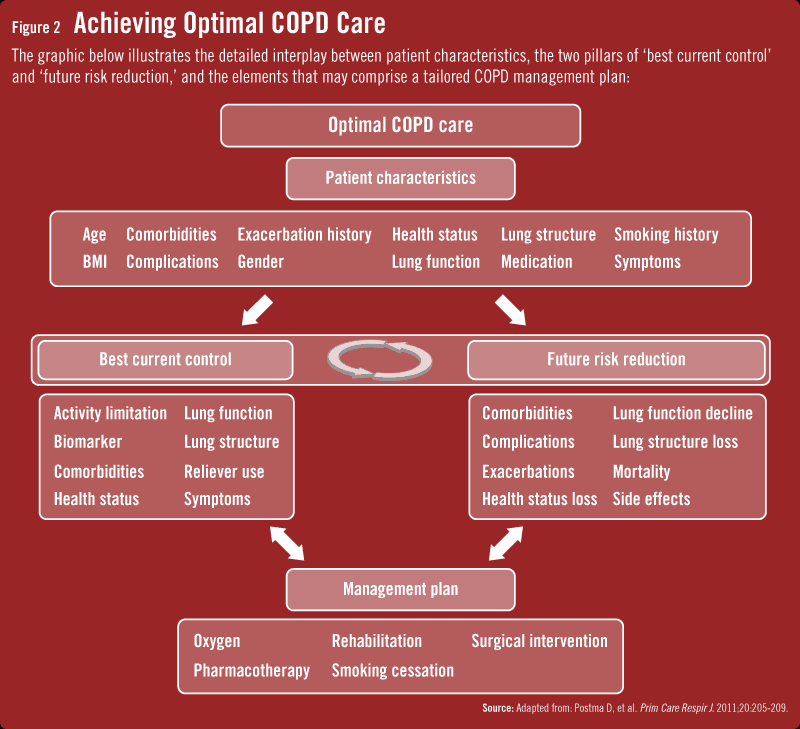 Awareness of optimal strategies to manage COPD is lacking among many clinicians, especially those in primary care. “It’s important that physicians become more familiar with COPD assessment techniques and use spirometry testing regularly to monitor patients,” Dr. Panettieri says. Rowe BH, Bhutani M, Stickland MK, Cydulka R. Assessment and management of chronic obstructive pulmonary disease in the emergency department and beyond. Expert Rev Respir Med. 2011;5:549-559. Marin JM, Carrizo SJ, Casanova C, et al. Prediction of risk of COPD exacerbations by the BODE index. Respir Med. 2009;103:373-378. Hurst JR, Vestbo J, Anzueto A, et al. Susceptibility to exacerbation in chronic obstructive pulmonary disease. N Engl J Med. 2010;363:1128-1138.
what is the place of corticosteroid (inhalers) in treament of COPD? do you prefere certain type?